Explore the tones of the Celestion G12H (55) at home, in the studio, or on stage, with this speaker impulse response in a 2×12 open back configuration. 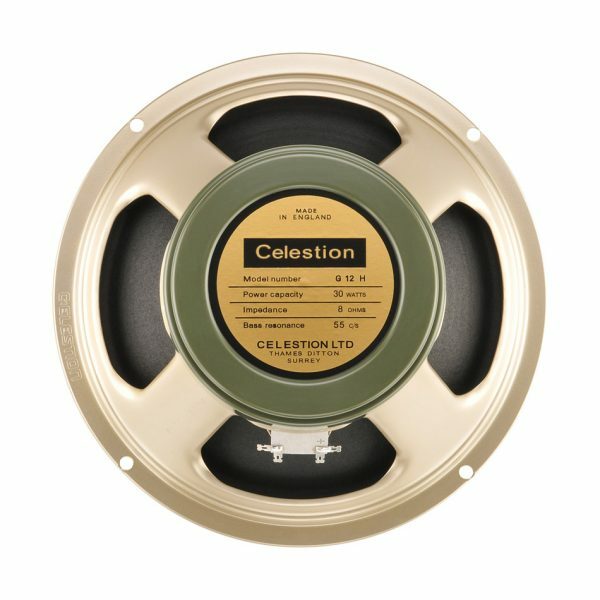 The heavy magnet and low 55Hz resonance makes the Celestion Heritage G12H (55) ideal if you’re looking for a speaker that delivers punch combined with vintage 60s warmth. In this 2×12 open back cabinet option, the G12H 55Hz has been captured using 3 well-known microphones (Shure SM57, Royer R-121 and Sennheiser MD421) placed in 6 different positions, to provide a range of different tone options: Balanced, Bright, Fat, Thin, Dark and Dark 2. This pack also contains an additional rear mic recording and 3 room mic recordings (Neumann TLM 107) with Left, Right and Stereo options, and 8 microphone mixes (SM57+R-121, R-121+MD421 etc). All IR files are in .WAV format for maximum compatibility with most plugins and amp modelling software.